is a mathematician and a computer systems architect with a keen interest in mathematics education. His past experiences include development of large scale server-oriented systems, and building context-free programming languages, compilers and operating systems. For the last three years, the development of software and videos within the Unizor project has been Zor's main focus. The intent of Unizor is to provide students with advanced educational materials in certain subjects, while enabling their parents or supervisors to control educational process. Unizor has a growing collection of more than 130 short videos for helping high school students explore deep ideas and interesting problems. Unizor contains both educational material for students to study and plenty of functionality to facilitate parental control over the educational process. Parents or supervisors are responsible for enrolling their students into programs, following their process of learning and making a judgment about stepping forward in study of new materials. Parental supervision is a key point in early education and Unizor functionality allows parents to provide it. Unizor's purpose is not to provide information or to develop concrete skills, but rather to present knowledge and to develop analytical thinking in students. In particular, this site might be appreciated by those students who like challenging problems and find satisfaction in theories built on solid logical foundation. 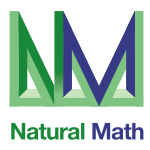 This is a work in progress and, as such, is constantly changing and expanding with an ultimate goal to cover broad spectrum of aspects of math and science, and maybe other subjects.